Blake Gillies is the Brokerage Director for Acacia Financial Group & Sr. Vice President of Wealth Solutions, LLC. Both are New Orleans affiliates of United Wealth Advisors Group, LLC. 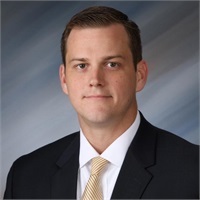 He formerly held the title of Brokerage Manager for The DI Center from 2011-2018, serving predominately the Louisiana & Mississippi markets. Blake is a 2010 graduate of Huntingdon College in Montgomery, Alabama with a B.S. in Business Administration. During his college tenure at both Huntingdon College and Enterprise-Ozark Community College, Blake was a five-time baseball Letterman. After graduation, Blake accepted an internship with Ameritas Investment Corp. (AIC) and Ameritas Life Insurance Corp., both in Lincoln, NE. His internship was comprised of working diligently with the Senior Vice President of Strategic Alliances, including a six-month tour of the various AIC Broker/Dealer departments throughout the country. Blake is an involved member of the National Association of Insurance & Financial Advisors, serving at the Local, State and National levels. He is the 2018 NAIFA-Greater New Orleans President, a NAIFA-Louisiana Board Member & a NAIFA National YAT Committee person. He has been acknowledged for this service to NAIFA by being honored in 2016 as the New Member of the Year for NAIFA Greater New Orleans & Louisiana. Blake is also involved in the New Orleans Miracle League, with the K’s for Kids Foundation. Blake married Brooke in January 2018. They reside in Ponchatoula, Louisiana. His hobbies include hunting, fishing & spending time with ever-growing number of pets. His Dad, Keith, is a NAIFA National Past President.